This Crockpot party mix recipe couldn't be easier to make. And unlike the new Chex party mix recipes, which call for microwaving the butter and seasonings, then just tossing with the party mixture, this one gets the same toasty flavor you get by making Chex party mix in the oven. 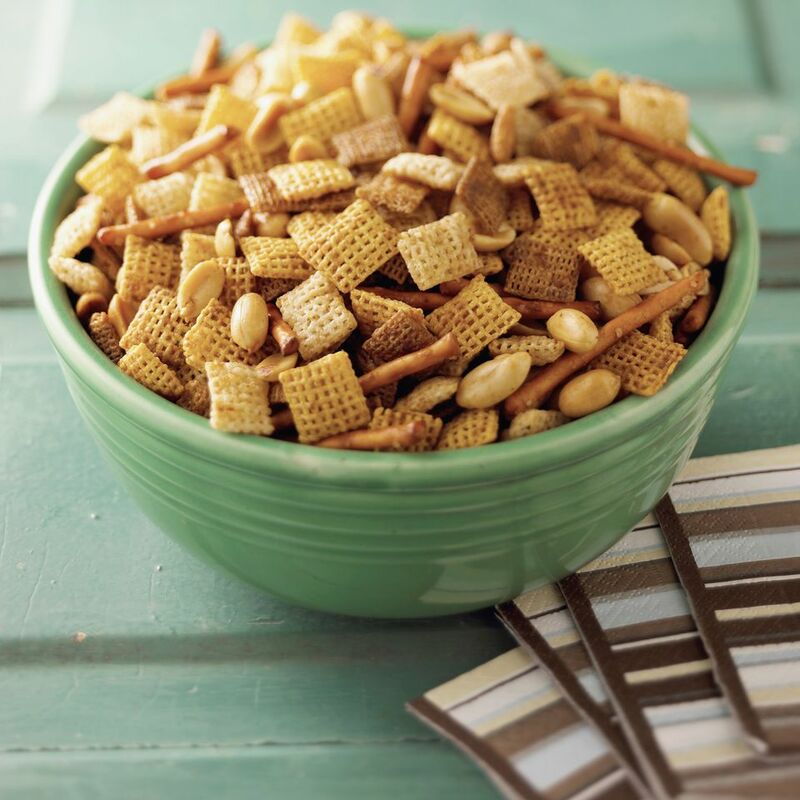 I like to make this Chex party mix recipe in the slow cooker a few hours before I'm ready to serve it. Then I just stir the party mix every 45 minutes or so, to ensure that all of the pieces are evenly coated. Place butter, soy sauce, garlic powder and onion powder in the slow cooker. Turn it onto low. Meanwhile, toss remaining ingredients in a large bowl. Add to the Crockpot, and stir to coat the party mix with the butter mixture. Cover, and cook on low for 1-3 hours, stirring every 45 minutes. About a half hour before serving, remove the cover of the slow cooker, and continue cooking the party mix for 30 minutes or until toasty.